Why do we remember some things and forget others? One key factor may be concentration. Surprisingly, another factor may be caffeine. Juan Valdez should be shown riding a goat instead of a donkey. After all, it is a common consensus that our enjoyment of today’s java can be credited to this cloven-hoofed wanderer. During the 12th century, an abbot of an Islamic monastery noticed his goats scampering and frolicking after returning from their daily outing. The next day, he followed his herd into the mountains, and noticed them munching excitedly on the leaves of a certain small tree. Curious, he too ate the leaves, and found that he had more energy. Soon, he decided to make an infusion, and share it with the other monks at the monastery. To them this drink was known as k’hawah (the invigorating). To us, coffee. 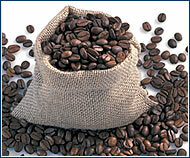 COFFEE CRAVERS rely on caffeine’s ability to energize and cheer. Recently, researchers are finding that while speeding up our heart rate, it also arouses our mind. Lee Ryan; professor of psychology at the University of Arizona in the US, says that caffeine’s stimulant effects cause a boost in energy that aids concentration. In a study published in Psychological Science, Ryan found that seniors who drank coffee throughout the day had less of a decline in memory than their decaffeinated peers. His findings, published in 2002, are not unique. More importantly, caffeine’s mind-enhancing effects aren’t restricted to those at retirement age. A 2000 report in Georgetown University’s The Hoya, states that: “Students are becoming increasingly dependent on caffeine for good grades, peak athletic performance and mental alertness.” This may not seem like advisable, or intelligent, behavior. Isn’t this coffee-compulsion an unhealthy addiction? Actually, no. The International Food Information Council states that “although caffeine is sometimes characterized as addictive, moderate caffeine consumption (3-4 cups) is safe and should not be classified with addictive drugs of abuse.” Assuming scientific and anecdotal evidence is correct, and caffeine does indeed improve memory, it is reasonable to question how. Some research suggests that caffeine actually changes the biology of the brain. Researchers at the Weizmann Institute in Reholvet, Israel, isolated dendritic spines (related to memory) from the brains of rats, then added caffeine. The spines enlarged by a whopping 33%. Dr. Meneham Segal who conducted the study, explains: “We are studying the spines because everybody assumes that they are related to learning and memory. Intuitively, you would say that the more spines there are, the better learner you are.” In practical terms, enlarging of these learning “spines” is experienced as increased alertness. We don’t need to rely on coffee to generate this vitality; exercise is another way to swell these conduits of energy and memory. Though exercise is healthier, drinking down an espresso is more practical than a sweaty jog to your morning meeting. In March of 2002, Dr. Andrew Scholey explained to BBC News how the act of chewing gum may improve memory: “When you chew, the body releases insulin, which is probably a conditioned response that occurs in anticipation of a meal.” Insulin receptors are stored in the hippocampus; a crucial site for memory. Chewing gum stimulates activity in this memory-minded region of our brains. American neurologist Dr. Kristin Yaffe led a research team that studied the exercise habits of the elderly. They found that for each mile walked weekly, there was a 13% less chance of mental decline. The Institute of Education in London found that listening to soothing music can improve memory.